At Ecobuild on 6th to 8th March in London, LAMILUX will showcase Passive House certified ways to maximise daylight using beautiful designs. The focus at stand D91 will include daylight solutions for one of the most stringent standards in energy efficiency, used in modern construction. LAMILUX helps architects and planners with a range of leading skylights when building passive houses: The large glass roof construction LAMILUX CI System Glass Architecture PR60energysave and the flat-roof window LAMILUX CI System Glass Element FEenergysave. These have been certified by the Passive House Institute in Darmstadt, Germany as a “pha Advanced Component”, the highest Passive House efficiency class. The products therefore meet the criteria for one of the most sustainable trends in contemporary construction, in the “skylight” and “sloped glazing” product categories. Passive House certification is regarded internationally as the chief energy efficiency standard for new buildings and refurbishments. 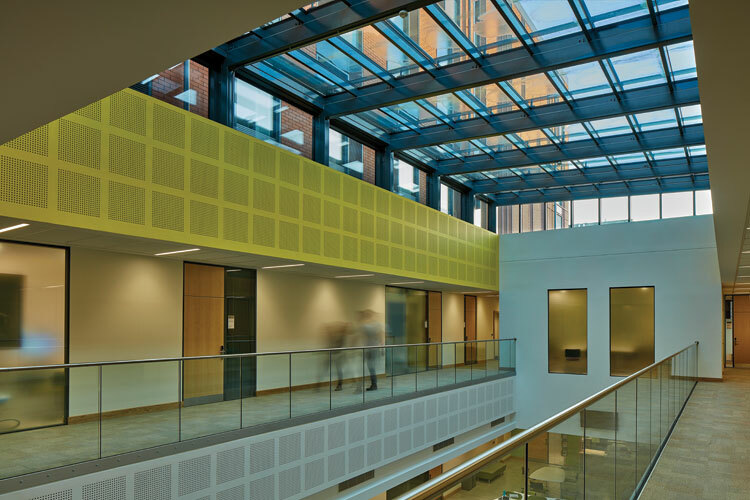 LAMILUX, a renowned manufacturer of daylight systems, SHEV systems and building control systems, now offers three daylight systems for the most demanding type of energy-efficient construction. Furthermore, the Passive House efficiency classes take into account heat loss and solar energy gain. Minimum heat loss is achieved when the frame systems have excellent U values and low glass edge Ψ-values. In addition, the narrow frame profiles maximise solar gain. These two extra efficiency criteria are expressed by the value ψopak. The lower this value is, the higher the efficiency class is. Both with regard to the glass roof structure and to the daylight element, the ψopak falls below the highest value of 0.110 W/(mK) for the Passive House classification as a ‘phA – Advanced Component’. In addition to outstanding heat insulation, hygiene also plays a significant role: In order to prevent condensation and mould growth, the 12.6°C isothermal line must consistently lie within structures at an outside temperature of -5°C, an indoor temperature of +20°C and a relative air humidity of 50 per cent. This is the case with all certified LAMILUX daylight systems. 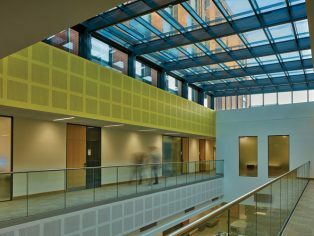 In accordance with the requirements for Passive House, the certified glass roof system can be fitted with glazing that comprises three panes and has an argon gas filling in the air spaces. The U value, or heat transmittance coefficient, in the 52 millimetre thick glazing package (Ug) is 0.70 W/(m²K) when installed in an inclined position. For more information about LAMILUX and its products, visit www.lamilux.co.uk or www.ecobuild.co.uk.